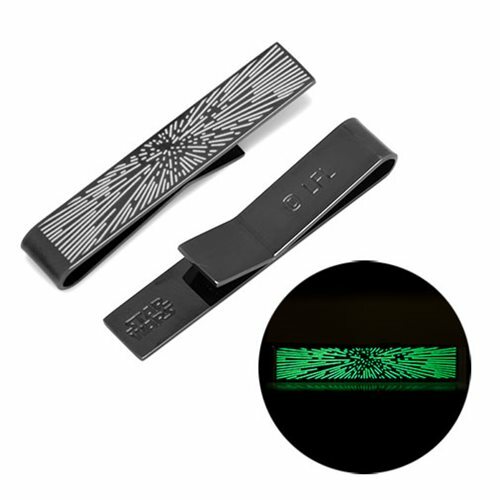 If you're looking to add something impressive to your wardrobe, add this Star Wars Hyper-speed Glow in the Dark Tie Bar, which imitates the hyper-speed effect as seen in on-screen. This tie bar, inspired by Star Wars, is a great way to keep your tie in place while showing off your fandom. Measuring approximately 2-inches wide x 3/8-inches tall, it is constructed by black and gold plated base metal.